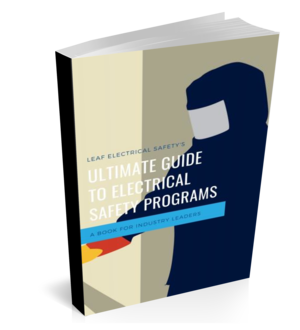 The arc flash “two-second rule” is not something you hear about all the time when dealing with electrical safety. Honestly, I don’t even know if engineers use it anymore. But I was reminded of this story the other day and felt I had to share it. It was probably close to ten years ago. There I was, sitting in a large conference room with about 20 of my peers across the corporation. We were getting to the end of a grueling three days of meetings. These were not just any meetings these were electrical safety committee meetings (I know sounds really interesting, but stay with me) and we were finally starting to get somewhere. Our goal was to come up with a philosophy for how our company would handle arc flash and shock hazard going forward. CSA had just come out with a new standard and a lot of us had never really thought about it before. We were literally seconds away from wrapping up the meetings and thought we had reached a consensus on a path forward when one of the more colorful committee members, who had a very dry sense of humor, spoke up. He said something like “yeah, none of this stuff really matters anyway... we can just use the two-second rule can’t we”? What was he talking about? Two-second rule? What? This isn’t in the standard… “Uhhhh, what do you mean Larry?” asked the meeting facilitator. We all stared at Larry in total disbelief, we just sat here for three days, discussing the intricacies of normal operation, incident energy calculations, arc flash protective clothing, energized work permits, and an assortment of other very serious safety topics… and Larry just thinks we can run away from an arc flash? Is he serious? Does he think all we need to do is purchase running shoes, sweat bands and a stopwatch for arc flash protection? To be honest, I still don’t know if he was serious and probably never will. The room was now filled with laughter and it was a great way to close the meeting. Hopefully, Larry was just pulling our legs, but I’ll never forget that story of Larry and the two-second rule. I hope you found this article useful and if you did please share it using the social media buttons at the bottom of the post! Also if you would like some help with your electrical safety program please sign up for a free consultation.